MUSIC TAKES YOU PLACES The breath-taking sound experience from BeoSound 35 will take you wherever you want to go. A high-end wireless speaker and all-in-one multiroom music system with an easy-to-use touch interface and integrated access to music and radio streaming services. 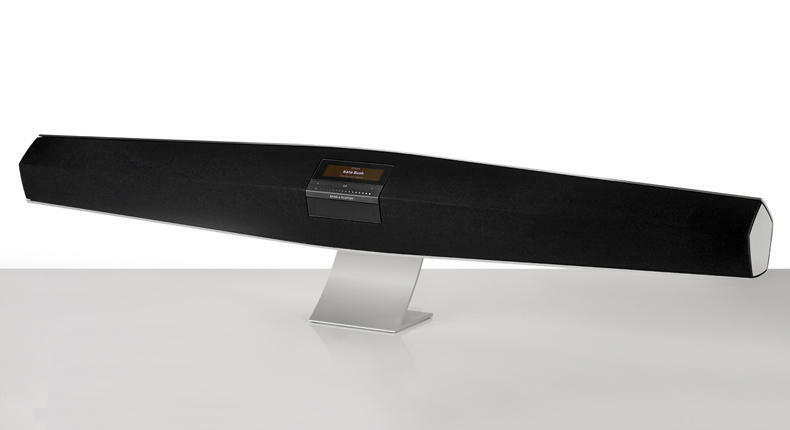 Everything can be controlled directly from your BeoSound 35 music system. The intuitive touch interface lets you easily take charge of your music source as well as track selection and volume control. Or if you prefer to control things from a distance you can just use a Bang & Olufsen remote or the free Bang & Olufsen app. Thanks to the on-board integration of streaming services like Spotify, Deezer, and TuneIn you get one-touch access to millions of songs, playlists and radio stations. BeoSound 35 features Apple AirPlay, DLNA and Bluetooth 4.0 streaming, and our Multiroom technology that lets you wirelessly unite all Bang & Olufsen and B&O PLAY multiroom products in one seamless music stream across your home.